ISRAEL - JUST THE FACTS: So You Thought The Arab Israeli Conflict Was About Land? You're DEAD Wrong! So You Thought The Arab Israeli Conflict Was About Land? You're DEAD Wrong! Let's cut to the chase! The people who call themselves Palestinians are simply Arabs (Muslims) who came to this area from several Islamic regimes. This is not my opinion but rather what their leaders clearly say. Take a minute and watch this! The Palestinian occupation claim has absolutely no basis - not historically, religiously or nationally. It is the occupation claim that Muslims use to justify terrorism and murder. Fatah, Hamas, PLO - they are all the same, just one wears a suit with the bomb covered and the other screams Itbach El Yahud (slaughter the Jew). Not slaughter the Zionist or the Israeli, but the JEW! The Lies Must Stop, IMMEDIATELY! An Arab Palestine State, country or land NEVER existed and was NEVER occupied by Israel! I take down this blog if anyone can give me a year when Israel occupied anything from an Arab country called Palestine! This is a religious war the Muslims call Jihad! There are no rules when it comes to Muslim wars; lying, terror, beheading and torture are all fair game and of course whining to the U.N. when they lose. Don't tell me it all started with Israel! In 1929 the Arabs did not slaughter the Jews of Hebron because of the State of Israel! When the Mufti teamed up with Hitler in 1940, it was not because of State of Israel! When the Hadith calls the Jews sons of monkeys and pigs, it is not because of Israel! When Mohammad slaughtered the Jews of Medina because they would not accept his new book, it was not because of the State of Israel! Jews forced to pay Dhimi tax in all Islamic regimes was not because of the State of Israel! When Egyptian born Yasser Arafat started the PLO with the goal of destroying Israel in 1964 (3 years before any settlement ever existed) it wasn't because of the State of Israel! WAS THIS BECAUSE OF THE STATE OF ISRAEL? I can go on and on but I think you got the point! This is a war between fundamentalist and violent Islamic fanatics who actually believe that their rule and law should take over the world and the free world, who believe that all humans are created equal. Clarification: Most of you reading this blog are punishable by beheading according to Sharia law! Tell Me Again How You Believe The Jews Are Taking Over Everything! Islam violently conquered and occupied the majority of the Middle East and destroyed and tortured other religions and people along the way. 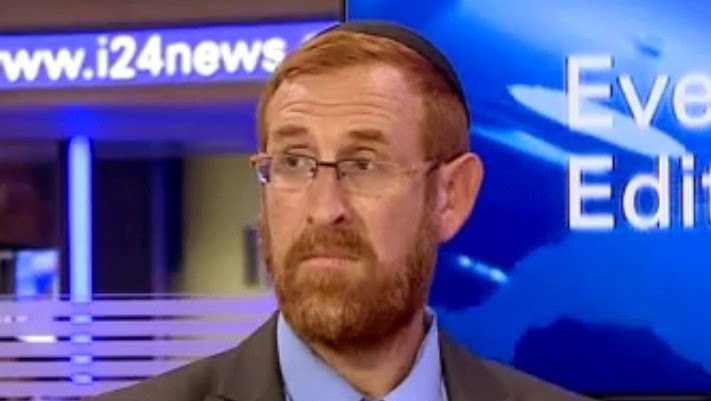 This past Wednesday evening Rabbi Yehuda Glick was gunned down by a Muslim terrorist who was upset that Yehuda wanted Jews to have the right to pray on the Temple Mount! The Muslims build a mosque on the place where the Jewish Temple stood and then attempt a murder when Jews demand to pray there? Truth is, we shouldn't be surprised. Dishonesty is nothing new when it comes to Islamic wars. It is called Taqiyya and what it means is a Muslim is allowed to lie in order to justify his actions. There is not a single Islamic regime that offers freedom or equal rights to minorities and not even to their own women! A world where stoning, whipping and beating is part of the culture and Jihad, along with a fantasy of paradise with virgins that is promised to those who murder, is not a partner for peace but rather a recipe for death! Forget about the fact that Israel NEVER occupied an Arab country called Palestine. During the years between 1948-1967, when the entire West Bank, Gaza and Jerusalem were under Arab control, was a Palestine State declared? Did that stop the Islamic terror? It was during those years that the arch terrorist Yasser Arafat put together the PLO terrorist organization. 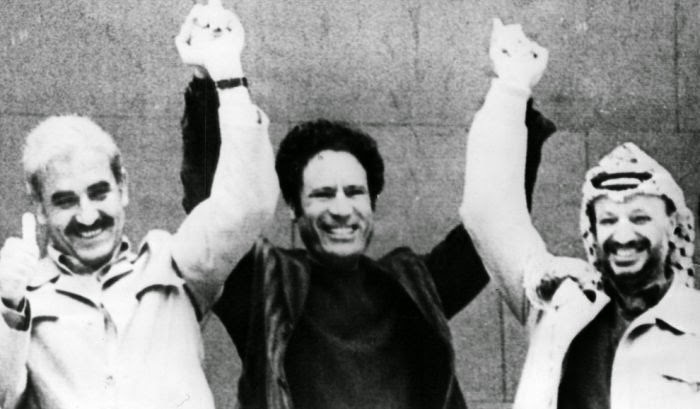 Yasser and Gaddafi - Match Made in Hell! This was three years before the Six Day War. There were no settlements and there was no occupation. Everything the Arabs are demanding today was already in their control in 1966, so why did they continue to terrorize Israel? Because this has nothing to do with land and everything to do with radical Islam! Let's pretend for a second that this IS about land, and a people who call themselves Palestinians are just trying to regain land that was once theirs. Let's pretend their struggle is against a people who came from afar and occupied their Palestine. Let's say you truly feel for these "Palestinian" people and you will fight to the death to have their land returned. Now reread this paragraph and understand that the occupiers of 80% of what was British Palestine were the Hashemites who currently occupy what is called Trans-Jordan. As if it is not bad enough that they occupy the poor Palestinians' land, they actually do not allow Palestinians to have equal rights in their country. Why, you ask? Because Palestinians make up over 70% of Jordan's population and if they gave them rights, it would become a Palestine democracy! 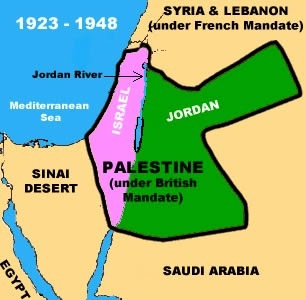 In 1922 the Hashemites, that had absolutely no connection to this area, came over and forcefully occupied the entire area east of the Jordan River. This area was called Trans-Jordan and is where these foreigners declared their country! If this conflict was really about land, don't you think the Palestinians would be fighting for 80% of the land that was occupied from them instead of the small 20% that is called Israel? You're still not convinced that this has nothing to do with land or an occupation? Last night a Muslim terrorist shot Yehuda Glick. The Muslim terrorist was NOT a Palestinian and was not from Gaza or the West Bank; he was an Arab living in Jerusalem with full and equal rights. How did he know what was going on at the Begin Center in Jerusalem that evening? Simple, he was an employee at the Israeli restaurant that is located in the Begin Center! Mutaz Higazzi was the terrorist's name and he lived in Jerusalem - had rights, had a job and had no reason to shoot Yehuda Glick except for the fact that Yehuda is a Jew who was demanding his right to pray on the Temple Mount. Mutaz was not the first Jerusalem Muslim to take advantage of his rights. Just a week ago another Jerusalem Muslim ran his car into a crowd of innocent random Israelis waiting for the light rail in Jerusalem and murdered a 3-month old little baby girl. Once again, the terrorist had rights, had a job and had no reason to murder little Chaya Zissel except for the fact that she was Jewish! If you're asking if Israel is willing to have Muslims stop killing us, the answer is of course! If however you are confusing blackmail with peace and are referring to when Muslims threaten Israel and say unless we give up our land and even our capital they will continue to murder us, the answer is an absolute NO! Any Muslim who calls themselves Palestinian and fabricates history in order to justify terrorizing Israel, cannot be a peace partner of any sort. The peace process will start when Muslims give up the physical idea of Jihad and stop with the fictitious story of an Arab Palestine State pre-Israel. My Muslim neighbors from Bethlehem are already at peace with me, but if you're talking about a complete peace deal, you tell me - would you make peace with this kind of ideology? The next time you are trying to decide whom you believe and whom you support, ask yourself one simple question: In which country would you rather take your family for a vacation trip, Israel or any Islamic regime? Considering that Palestine came after Israel, it makes sense if THEY are occupying Israel. You are absolutely correct. The only thing the Palestinians want is too harass the Jews and wipe them off the face of the map. The problem is ignorance. If people would take the time to read the Quran and see for themselves where Mohammed gave them directions to kill and slaughter Jews and Christians in the name of their god, there would be less sympathizers for the Palestinians. 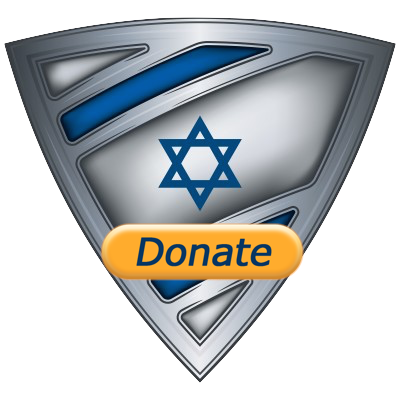 if their government would put their money where it is supposed to go, the Palestinian people would be taken care of. Instead they buy weapons and build tunnels to terrorize Israel and mount their children on the roofs where Israel has warned of an incoming bomb.No other country does that. 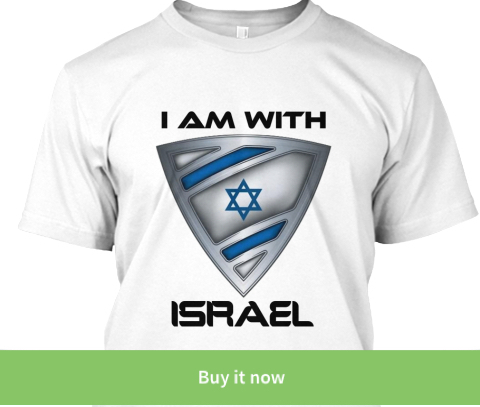 Israel has the right to defend herself and the God of Abraham Isaac and JACOB ( NOT Ishmael) will watch over Israel. on wonder who gave Muhammad the permission to change the story of Abraham and Isaac! This is a great blog and everyone should read it. God bless you.